The world is becoming more urban, so what makes the study of rural demography relevant today? 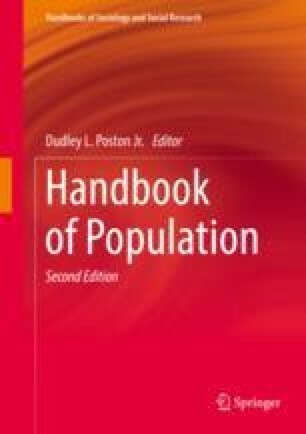 In this chapter, we argue that more than population numbers and percentages are involved in understanding rural demography. Local economies, the organization of institutions, and distinctions in norms, values, and lifestyles can result in divergent demographic dynamics and patterns in migration, family formation, and aging across the rural-urban gradient. As a first task, we consider how to best conceptualize rural populations. We then focus on theoretical and substantive issues confronting rural populations in the United States, highlighting compelling demographic research already pursued and identifying several emerging topics that require critical attention by demographers in the years ahead. The research and writing of this chapter were supported by center Grant # P2C HD047873 and training Grant # T32 HD07014 awarded to the Center for Demography and Ecology at the University of Wisconsin at Madison by the Eunice Kennedy Shriver National Institute of Child Health and Human Development, and by funds to Curtis by the National Institute of Food and Agriculture, United States Department of Agriculture, Hatch project 1010847, by the Western Association of Agricultural Experiment Directors, and by the Wisconsin Agricultural Experimental Station. Sections of this chapter were informed by the work of participants of the Multistate Project W4001: Social, Economic and Environmental Causes and Consequences of Demographic Change in Rural America, including E. Helen Berry, David L. Brown, John Cromartie, John Green, Kenneth M. Johnson, Daniel T. Lichter, Joseph J. Molnar, Shannon M. Monnat, and David Rothwell. We thank Rachel A. Rosenfeld for formatting assistance.